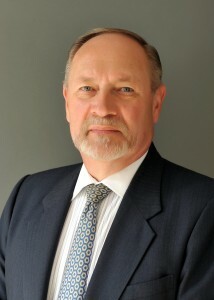 Judge Gary J. Krump, is a Senior Advisor at Cassidy and Associates, and is one of Washington’s leading experts in federal contracting and federal market development. Judge Krump works with clients to build or expand their federal customer base, navigate the complex world of federal contracting and mitigate problems which may arise in serving the federal customer. Prior to joining the firm, Judge Krump served as the Chairman & Chief Judge of the Department of Veterans Affairs Board of Contract Appeals. As Chairman, Judge Krump was responsible for ensuring the fair and timely disposition of disputes involving construction, supply and service contract challenges on a wide variety of cases where VA or other federal agencies were claimants. From 1992 until 2003, Judge Krump also served as a member of the Procurement Executives’ Council (Chief Acquisition Officers’ Council), including serving two terms as Vice-Chairman of the council, and Chair of the Executive Committee. The council is comprised of all senior procurement officials from across the entire federal arena. In 1993 President Clinton appointed Judge Krump to the President’s Committee For Purchase From People Who Are Blind or Severely Disabled, where he served until his retirement from federal service, including serving two terms as Chairman of the group. Prior to his appointment to the bench, Gary served in a variety of senior roles in the Department of Veterans Affairs, including serving as the VA’s Deputy Assistant Secretary for Acquisition and Materiel Management. As Deputy Assistant Secretary of one of the largest acquisition and materiel management programs in the federal government, he directed and set policy in support of all VA facilities, as well as other government agencies and managed the VA’s Office of Acquisition and Material Management, the VA’s National Acquisition Operations Service in Washington, DC, the National Acquisition Center at Hines, Ill., and the Denver Distribution Center. A career member of the Senior Executive Service, Gary served in many other capacities within the Department, including Acting Assistant Secretary for Acquisitions and Facilities, Director of the Office of Real Property Management, Director of Acquisition Management Service, and as Deputy Assistant General Counsel. The judge is also a frequent speaker and writer on a variety of topics related to federal procurement policy. Gary began his federal career in 1972 as an attorney in the U.S. Army, serving as a Judge Advocate Officer and later a senior staff attorney. A native of North Dakota, Gary holds a B.A. from North Dakota State University, an M.B.A. from Southern Illinois University, and a J.D. from the University of Minnesota Law School. He is also a graduate of the US Army Command and General Staff College, the Federal Executive Institute, Leadership VA, and the Senior Managers in Government Program at Harvard University. Gary and his wife Mary Kay have two sons.